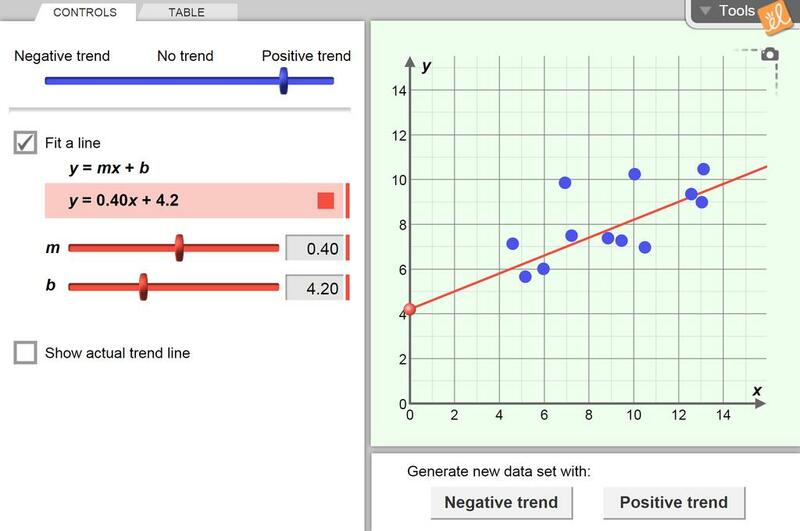 Examine the scatter plot for a random data set with negative or positive correlation. Vary the correlation and explore how correlation is reflected in the scatter plot and the trend line. Used in a low-level algebra I remediation course. Good for individual use because its self-guided.